The production costs for sensors can be reduced significantly by automating the calibration procedure. 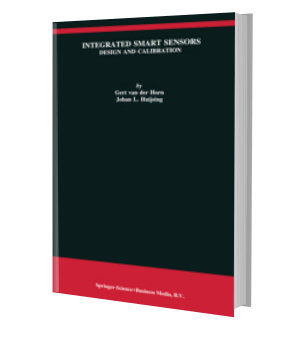 This book presents different options including a digitally programmable calibration circuit in an integrated smart sensor. These options are based on a calibration of the signal transfer using analog signal processing, digital signal processing, or a mixed-mode technique using sigma-delta modulation. Besides these calibration circuits, also the other functional blocks needed in integrated smart sensors are presented. Furthermore, several linearization techniques are explained, including an efficient step-wise polynomial calibration method. The combination of a programmable calibration circuit and a digital bus interface, both included in the smart sensor, enables the desired automation of the calibration procedure for a large batch of sensors at a time. 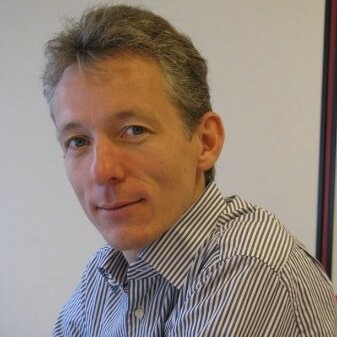 Gert van der Horn received his Masters degree in Engineering from the Electronic Instrumentation department of the TU Delft, and also achieved a PhD degree. His PhD entitled 'Integrated Smart Sensors, Design and Calibration' and was decorated by several international publications. He developed into a versatile circuit designer with a broad interest in circuit design techniques. In 1998 he co-founded SystematIC, an analog IC design house, together with Richard Visee. His other competences are analog and mixed-signal chip design, high-voltage applications, discrete design. He represents SystematIC at key customers and is (co-)inventor on a number of patents. 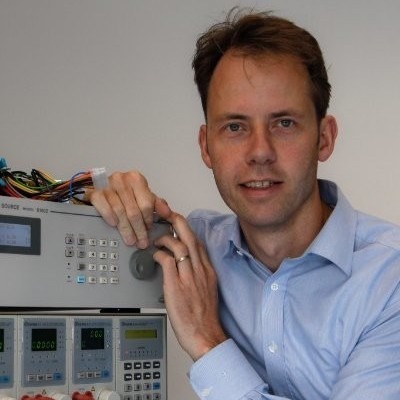 Johan H. Huijsing has been an assistant, associate, and professor in Electronic Instrumentation at the Faculty of Electrical Engineering of the Delft University of Technology. He has been a consultant for Philips Semiconductors and Maxim. 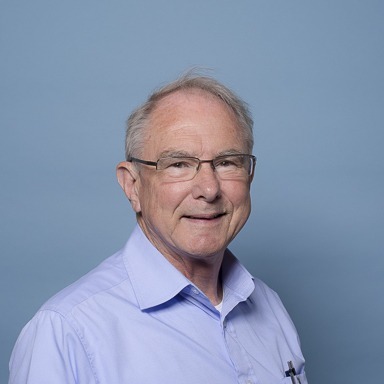 The research and teaching of Johan Huijsing is focussed on the systematic analysis and design of operational amplifiers, analog-to-digital converters and integrated smart sensors on chips. He is author or co-author of some 250 scientific papers, 13 books, and 40 US patents. The advances in MEMS are enabling technology for miniaturized electrospray colloid thruster designs. These thrusters can be advantageously applied in small, low mass, sizeable electric propulsion systems with high specific impulse. To fully exploit the capabilities of MEMS colloid thruster propulsion technology a small and low mass HV electronic power supply and control circuit is needed. In the European FP7 funded MicroThrust project a consortium works towards the goal of a MEMS colloid thruster breadboard. In this project SystematIC design develops the miniaturized HV power supply and control unit. The power and control system operates in dual bipolar operation. Two independently controllable HV power supplies with opposite polarity operate in bipolar mode to drive a colloid thruster and expel equal amounts of positive and negative charged ions. The electronic design is split into two functional parts: a Central Power and Control Board (CPCB), where HV supplies are generated and an Extractor Switch Assembly (ESA), which controls the colloid extractor grids. The ESA design is modular and flexible and can be extended to control additional extractor grids, whereas the CPCB board can drive multiple ESA boards. The HV power supply architecture covers a dual bipolar setup and is scalable in power to accommodate various missions. The electronic circuits are laboratory tested for electrical functionality. 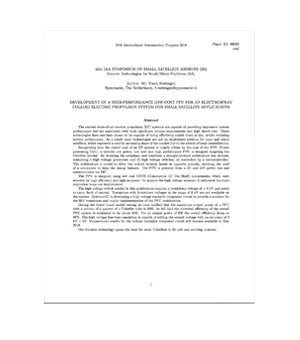 Initial test results of the circuits and their operation when assembled to an actual colloid thruster prototype are presented in this paper. In the MicroThrust breadboard design target is a HV power supply (HVPS) with 0.4-5W output power. The bipolar emitter voltage is designed for ±3.8 kV. The CPCB and ESA boards measure 80mm by 80mm and have a height of 35mm when stacked. The total mass of the boards excluding cables is 115 grams. On the S/C side the electrical interface applies the I2C protocol and requires a single supply voltage of 12V. 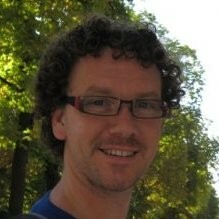 Richard Visée received his Electrical Engineering degree (MSc) at the Electronics department of the Technical University Delft. He proceeded to develop his skills in electronic design at the same department in a two-year in-depth study on the design of low-noise microphone amplifiers. After working as an analog design Engineer for three years, with a strong focus on RF circuit design, he joined SystematIC as a co-owner. Besides working on many various IC design projects in sensor readout and power conversion, he developed SystematIC’s Japanese business relations and now represents the company in projects for Japanese customers. He is also involved in collaborations with European research institutes and guides electronics development for space-related research. “Development of a high-performance low-cost PPU for an electrospray colloid electric propulsion system for small satellite applications"
The current state-of-art electric propulsion (EP) systems are capable of providing impressive system performance but are associated with both significant volume requirements and high direct cost. These technologies have not been shown to be capable of being effectively scaled down in size, whilst retaining system performance. As a result, such technologies are not an established solution for nano and micro satellites, which represent a rapidly increasing share of the market due to the advent of large constellations. Recognizing that the overall cost of an EP system is largely driven by the cost of the PPU (Power processing Unit), a tailored low power, low cost and high performance PPU is designed targeting the CubeSat Market. By studying the periphery and interfaces a straight-forward architecture was devised, containing 4 high voltage generators and 12 high voltage switches, all controlled by a microcontroller. The architecture is suited to drive two colloid thruster heads at opposite polarity, omitting the need of a neutralizer to keep the charge balance. The PPU is powered from a 5V and 12V power bus and communicates via I2C. The PPU is designed using low cost COTS (Commercial Of The Shelf) components, which were selected for high efficiency and high accuracy. To achieve the high voltage accuracy 4 calibrated fine-tune regulation loops are implemented. The high voltage switch needed in this architecture requires a breakdown voltage of > 6 kV and needs to carry 3mA of current. Transistors with breakdown voltages in the range of 6 kV are not available on the market. SystematIC is developing a high voltage stackable integrated circuit to provide a solution for the 6kV transistors and enable implementation of the PPU architecture. During the bread board model testing we have verified that the maximum output power of a PPU with a volume of a quarter of a CubeSat cube is 20W. At full load the electrical efficiency of the overall PPU system is estimated to be about 80%. For an output power of 6W the overall efficiency drops to 66%. The high voltage fine-tune regulation is capable of setting the output voltage with an accuracy of 3 kV ± 5V. Measurement results for the voltage stackable integrated circuit will become available in May 2018. Our thruster technology opens the door for small CubeSats to fly new and exciting missions. Phasing a design from problem-analysis to specification through the design phases to a prototype and an end-product. 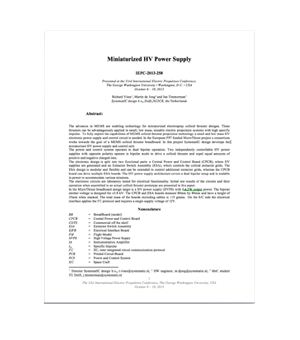 Designing and developing discrete, advanced, Single Point of Failure (SPoF) free power supplies for space application utilizing Maximum Power Point Tracking for an optimal energy harvest from solar panels. Taken part in several ASIC chip design projects that resulted in high-performance switched-mode power supply ICs and was involved in all design phases including: circuit implementation, Corner and Monte Carlo simulations, stability calculations, system level simulation, layout and prototype verification and debugging. On behalf of Hogeschool Zeeland I prepared and gave lectures on System Development Methodology at the Shanghai Maritime University.